Colorado is a grand state for modeling narrow gauge operations and learning about our state’s railroad history. Colorado has hundreds of miles of abandoned narrow gauge routes to explore. Many members our Northern Colorado Garden Railroaders enjoy seeking out these areas. 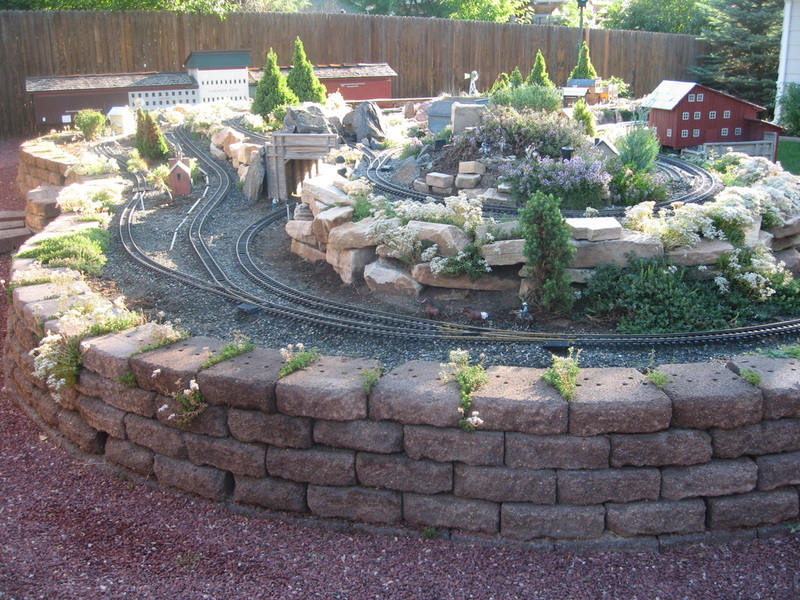 Our railroad is the Red Cliff, Denver and Rio Grande RR modeled during the late 1800’s. We just happen to live on Red Cliff Place; and there is also still a mountain town of Red Cliff. The town still looks just like it did when mining was king. 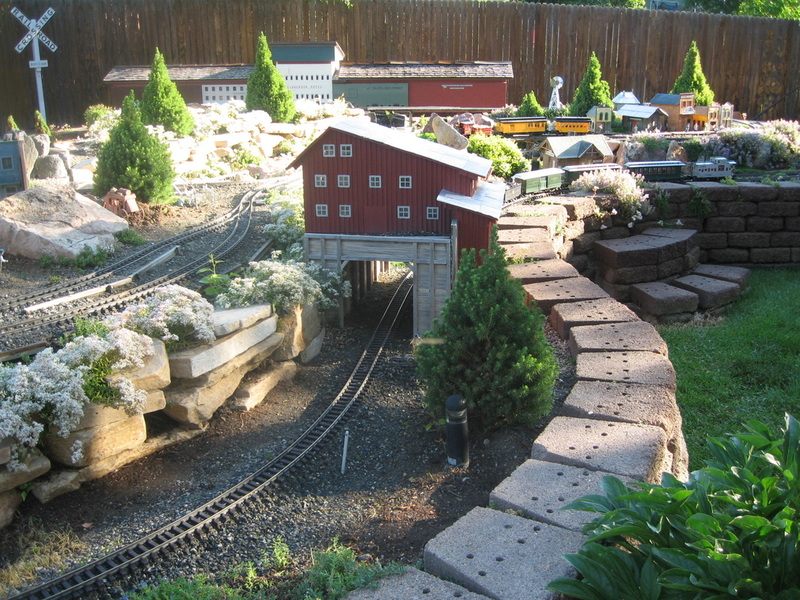 The layout includes several historical scenes, including Quarry mining in the 1880’s just west of Loveland, Wild’s Plaster Mill close by, the town site of Red Cliff, mining, farming, etc. The narrow gauge trains were chosen because of the mountains, with the need for hauling mine supplies and ore, later cattle, sheep, and timber through rugged terrain. The RC,D&RG RR has been in operation for approximately four years and we are still finding work to be done. The track (brass) is laid on ballast just like the prototype track. We use track power. There is about 300 feet of track featuring two levels. A train can run from the engine house around one level, then, proceed up a 4 to 5 % grade to an upper track.Two trains then can run independently. There are several electrical shut-offs to control the operations. We are handicap accessible. Plan ahead because there are no restrooms available on-site.